Let me tell you some of the secrets of my trade. As I’m reading a book, eating a burger or sandwich, or dying of gastric distress due to a new medicine, in my head I am reviewing the experience. If in my mind if I can come up with something clever to say about that experience then my next item to review has been selected. Normally I will then spend the next day or two writing it in my head but sometimes it just pours out of me in a fury of literary diarrhea. As I was reading Joe Hill’s newest book titled NOS4A2 (which is pronounced Nosferatu – the vampire from the 1922 movie of the same title) I came up with this thought for a possible review: “Somebody is playing in Stephen King’s pool but they are having the decency not to pee in it.” I had this thought for several reasons. 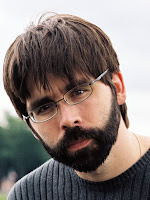 Reason 1 – I had never heard of Joe Hill until I read a short story called In The Tall Grass written by Stephen King and Joe Hill. OK story but such a disappointment. I knew it was a short story but a short story for King is still about 400 pages long. This one (ebook only) turned out to only be about 60 pages long when I first opened it in my ereader. Things got worse when it ended halfway through and the remaining 30 pages was a sneak peak at Joe Hills forthcoming novel called NOS4A2 and also Stephen Kings forthcoming novel called Doctor Sleep. So I knew that Joe Hill was somehow related, at least professionally, with Stephen King. Reason 2 – there is a lot of King’s “world” in NOS4A2. It mentions Derry Maine and Pennywise the clown from King’s IT (and other novels as well). Crap it mentions Maine at all where we know nothing actually happens unless it’s in a Stephen King novel so therefore you knew this book had King elements to it. So for those reasons I was please with my analogy of the pool until I found out that Joe Hill is Stephen King’s second son. That’s right boys and girls. Joe Hill pulled an “Estevez” and did not take on his father’s name. But just like Emilio “Estevez” Sheen who probably had tons of help from big daddy Martin to get his acting career going, I’m sure Joe “Hill” King had no problem finding a publisher. Do you think the son of Stephen King had any problems finding a publisher? One other thing. I was reading the ebook version of this book so I didn't see a picture of Joe Hill. Could there be any mistaking whose son he is from this picture? a pact with the devil but a man who writes 8 pages of the kind of stuff he writes every single day for 40 years now, has got to have something seriously messed up in the clockwork of his brain. That’s at least 116,800 pages and since the Dark Tower series was almost that long all by itself he has to be surpassing that minimum frequently. Having said that, how messed up do you think a person is who was born and raised by a man who has written hundreds of thousands of pages of the stuff King writes about? Enter Joe Hill. Born June 4 1972 and named after the executed labor union hero named Joe Hill. I can’t imagine the pressure that must put on a boy. “Hey Son go be a liberal freak your whole life and if you’re worth your salt at all you’ll get gunned down in a blaze of glory just like your namesake”. Hoffa wept! I’m done with all that now. On to the review. This book was good. I thoroughly enjoyed it. Hill has taken one of the most wholesome and pleasant things – Christmas – and turned it into the most nightmarish landscape imaginable. Not spoiling anything you won’t find on the back cover, this story is about Charlie Manx who apparently has been kidnapping children for years, if not decades. It’s also the story of Victoria "Vic" McQueen who has the ability to find anything by transporting to its location while thinking about the lost item while riding her bicycle. Once she finds Manx though, all Christmas-Hell breaks loose. Nyuck-nyuck-nyuck. Seriously though, a genuinely good read and Hill has not inherited his father’s knack for weak (sometimes stupid) endings (for example the creature in Library Policeman is killed by pushing licorice whips into its nose – give me a break). Nope, this ending satisfies. There is one serious problem with the whole book though and again I’m not trying to spoil anything, but the thing that is the scariest about anything involving children as victims is the fear the children are feeling. You think about a child being kidnapped, ripped from their beds; their haven by a stranger hell-bent on ill-intent, tears streaming down the child’s eyes, shaking, perhaps peeing themselves, crying for their mommy. That’s a terrifying image. But if the child is not afraid? If the child is happy? What if the child is even more happy than before they were kidnapped? You lose all the tension of the story. It’s still tragic and you loath the bad guy. You agonize for the parents. Are you yourself scared though? I’m sure I don’t know. 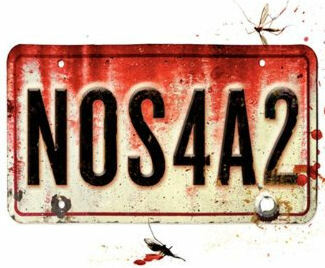 Joe Hill’s NOS4A2 gets 4 stars. A definite must-read but it lost that fifth star because; well it wasn’t as scary as it could have been. Actually Hill did have a lot of trouble getting a publisher. He specifically chose to ditch the King last name because he was worried that anything he wrote would get published. So he hid his name and pretty much had to work himself up like his father did. 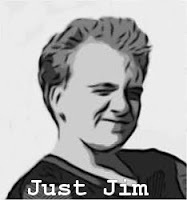 He's had multiple novels and short stories rejected by publishers until he finally broke free, on his own, with Heart Shaped Box. If I remember correctly it took him 10 years to break through. Now that it's known he's King's son I'm sure the publishing will come easier, but he did not ride into that position on his fathers wagon. Interesting. But let me put it a different way: Do you think while he was struggling for those 10 years to find a publisher was he ever worried he wouldn't be able to eat or feed his family or find shelter? So he was never what you would call a "starving artist" was he? So was it really a "struggle" to get his work published? No. More like something to occupy his time between horseback riding and traveling around the world, perhaps visiting Martha's Vineyard, etc, etc. I'm not some crazy liberal though. I think it's great he came from money, but the funny part is he would be one of the first screaming and yelling at others who grew up with a silver spoon in his mouth.